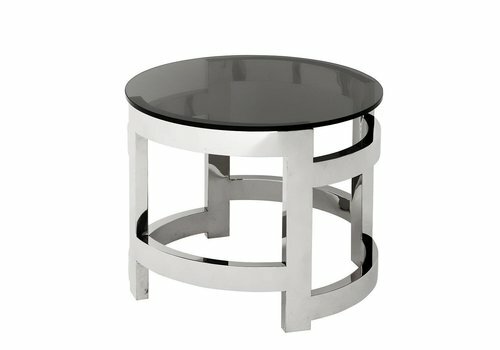 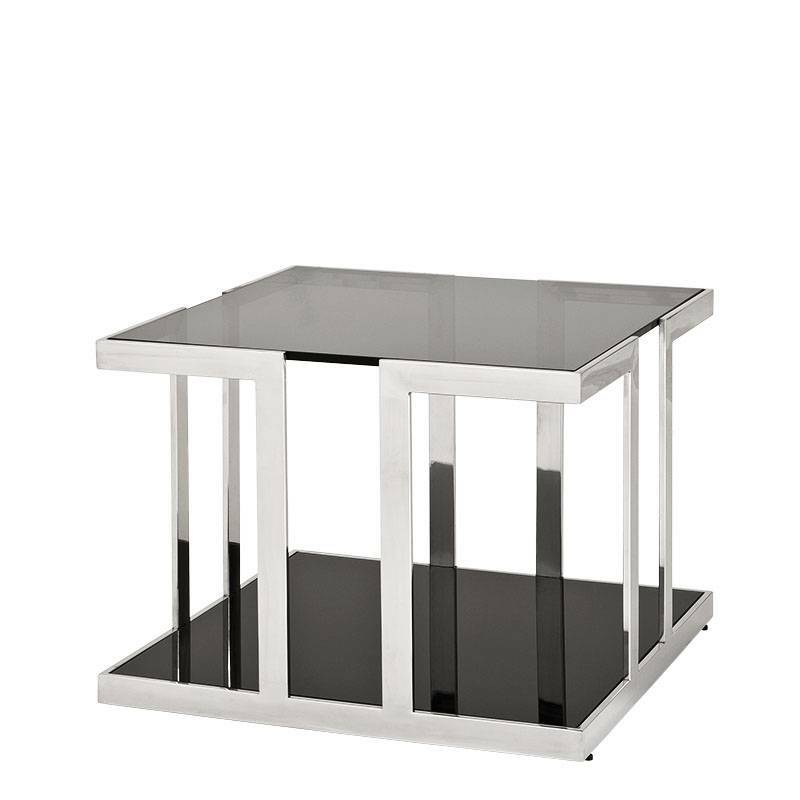 Design side table Palmer from Eichholtz. 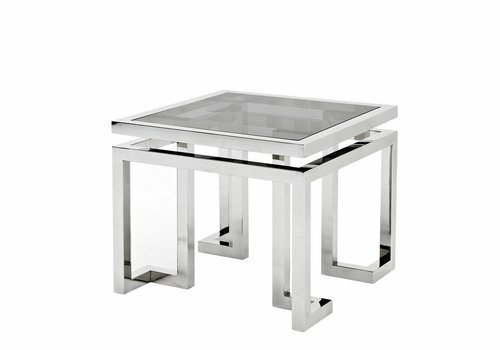 Optically floating smoked glass tabletop. 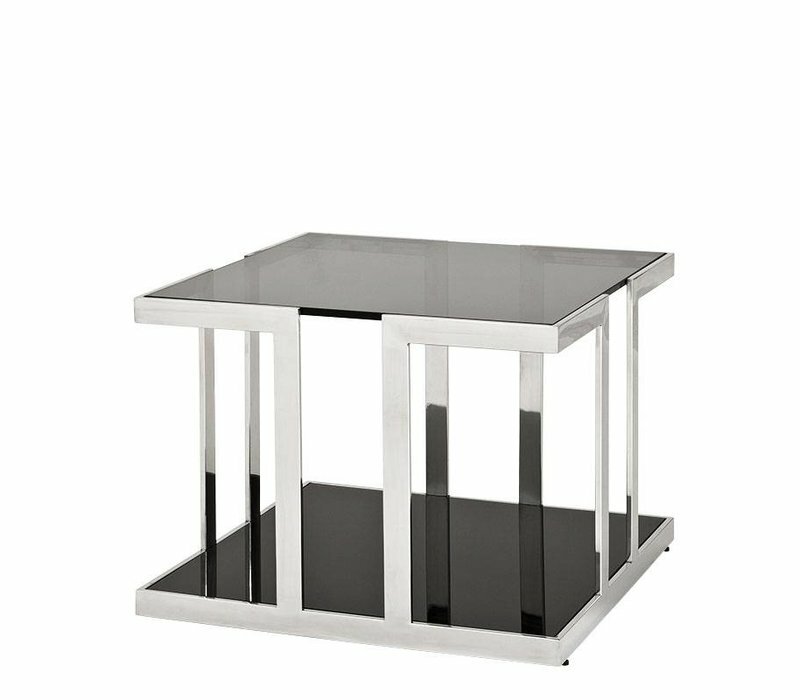 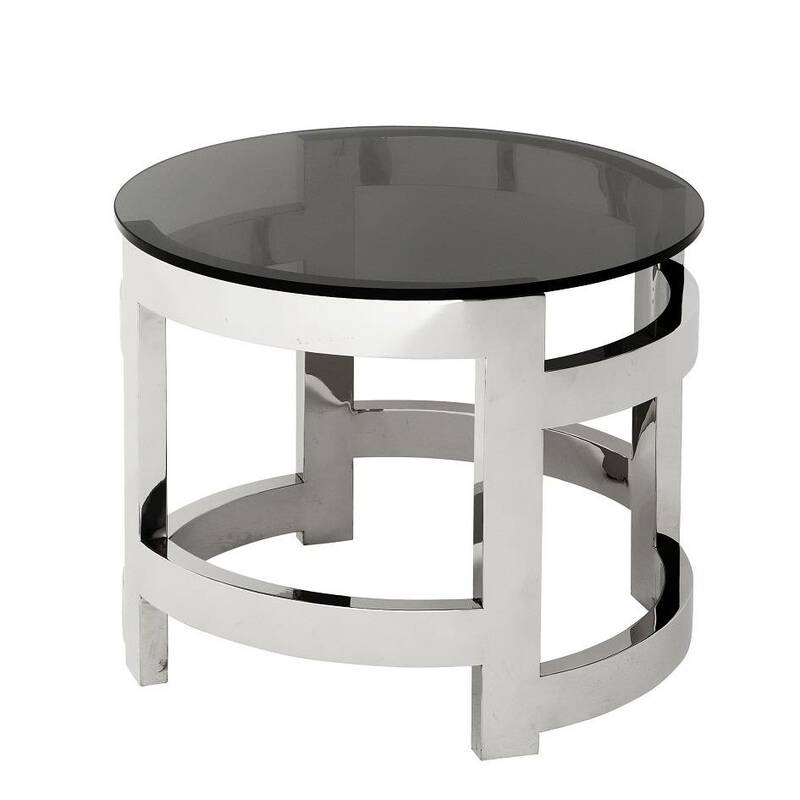 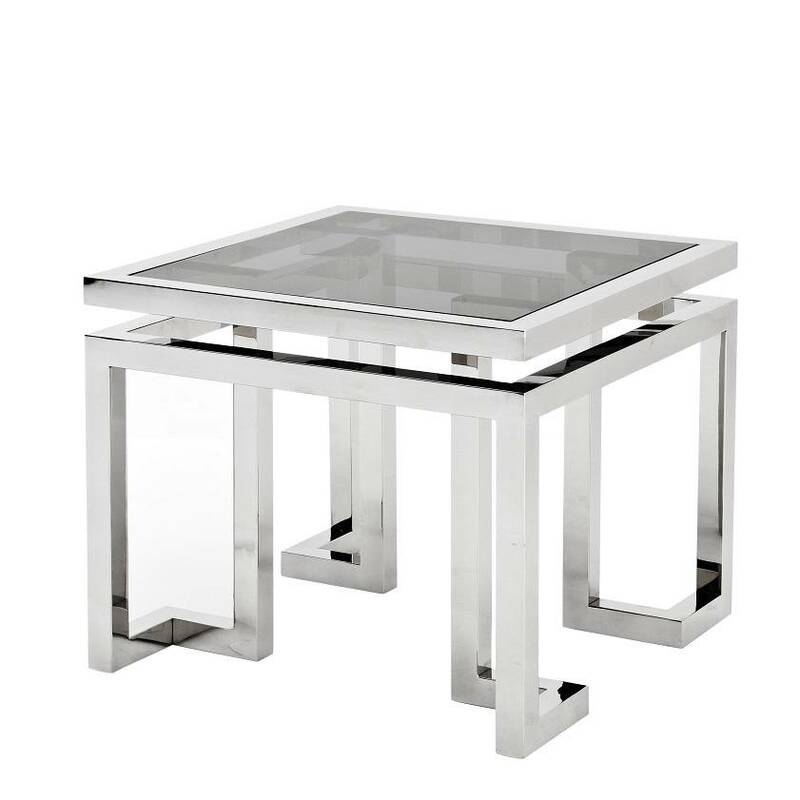 Polished stainless steel side table with a modern and contemporary look.